Squareback Type 3: Squareback-Meeting near the "Naschmarkt"
today we had a change encounter near the Naschmarkt in Vienna! 67 or 68 blue squareback! i haven´t seen this vari before! Hi there is Alex. 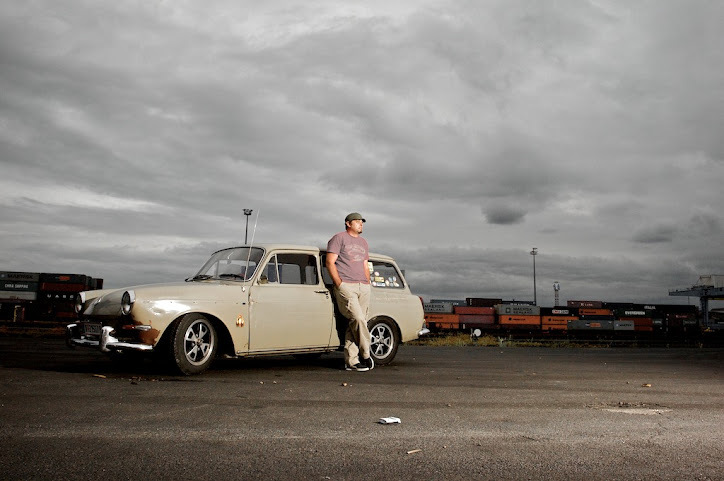 The new owner of Günther´s 1500s Safari- Beige. I saw this blue Vari the first time 8 years ago there. Realy a nice car, but too bad, that it´s always parking on the streets. THE BUG BOX ...there is no lower way to fly!